When you think about orthodontics, images of pre-teens with braces may come into your head. However, there are several reasons why orthodontic treatment may benefit people of any age. If you have a child who is around the age of seven, it is best to bring them into our office to find out whether or not orthodontic treatment is needed. This is a prime age for this initial consultation because around this time, cross bites, crowding, and other potential problems can be identified. 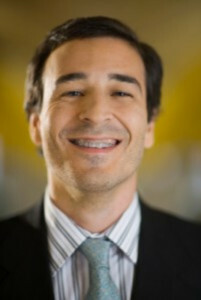 For adults, braces can not only improve the appearance of your smile, but also help prevent problems with your bite. Teeth that are straight and properly aligned are easier to clean, healthier, and more likely to not need extra treatment in the future. How long you or your child will have to have braces depends on how fast the mouth is growing and the severity of the problem. Most patients need to have braces anywhere from one to two years. The use of rubber bands and any other prescribed appliances for teeth straightening are essential for efficient treatment. If our dentist, Dr. Anna Szmitko, prescribes any additional treatment procedures and you diligently use them, you may be able to get your braces off quicker than you originally planned. If you want a straighter, healthier, and more attractive smile, remember that orthodontic treatment is beneficial for anyone of any age!